PRE-ORDER $200 non refundable deposit with order, balance due once inventory arrives. While the G43X is a culmination of upgrades to an existing model, the G48 is a new model cast in the same vein. The gun is very similar to the G43X with the same capacity set at 10+1. However, this gun is longer in the slide by just under an inch. 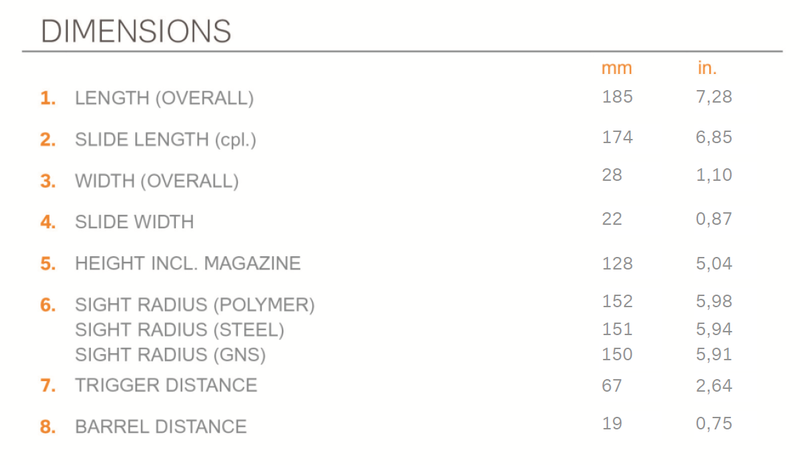 Particularly, the sight radius of the G43X is listed as 5.24 inches while the G48 is 5.98 inches. This technically makes the G43X a sub-compact model, and the G48 a compact model. Comes with 2 magazines, hard case, cable lock, and manual.